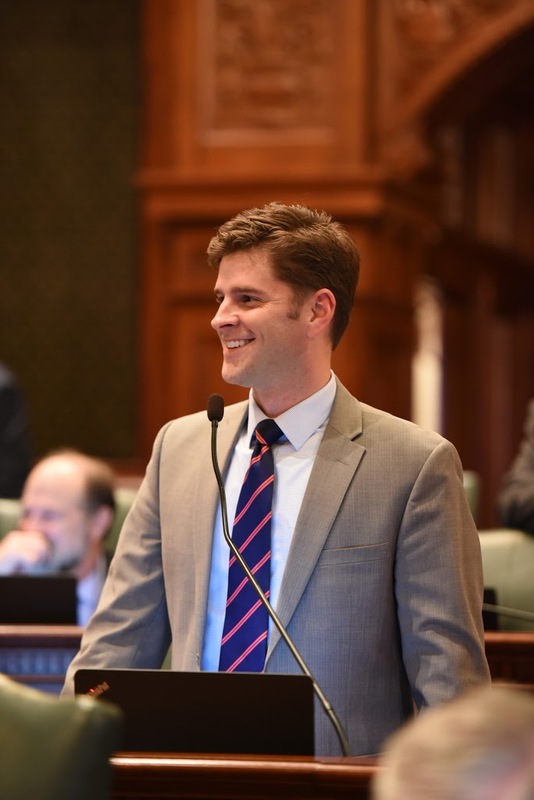 State Rep. Ryan Spain passed his first bill on Wednesday, a bipartisan measure to allow volunteer work to be performed at Illinois State Parks. “This is common-sense legislation that allows volunteers to create an Adopt-a-Trail program as well as allow volunteer work at State Parks and trails. Included in permissible activities are spring cleanups, accessibility projects, special events, trail maintenance, enhancement, or realignment, public information and assistance, or training,” said State Representative Ryan Spain. This legislation attempts to resolve a long-standing problem at many State Parks and facilities where volunteers are being told they are not permitted to help keep trails clean and maintained. Currently, those individuals are able to assist with removal of trash and litter. Representative Spain sponsored House Bill 3455, a measure suggested to him by trail riders at Jubilee State Park in rural Brimfield and negotiated with the Illinois Department of Natural Resources and other stakeholders, and passed the legislation on Wednesday in the Illinois House by a vote of 113-0. The legislation attracted bipartisan support and co-sponsorship from House legislators throughout Illinois. Testifying in support of the bill were the Illinois Department of Natural Resources as well as the Horsemen’s Council of Illinois.